http://www.nordhavn.com/models/52/drawings/pdf/52alter_c.pdf we are interior plan "c"
​https://vimeo.com/141750656 our Nordhavn video interview done in Kodiak, September, 2015. Check out the drone video! www.kodiak.org The Kodiak Visitors Bureau website . Info, maps, activities. 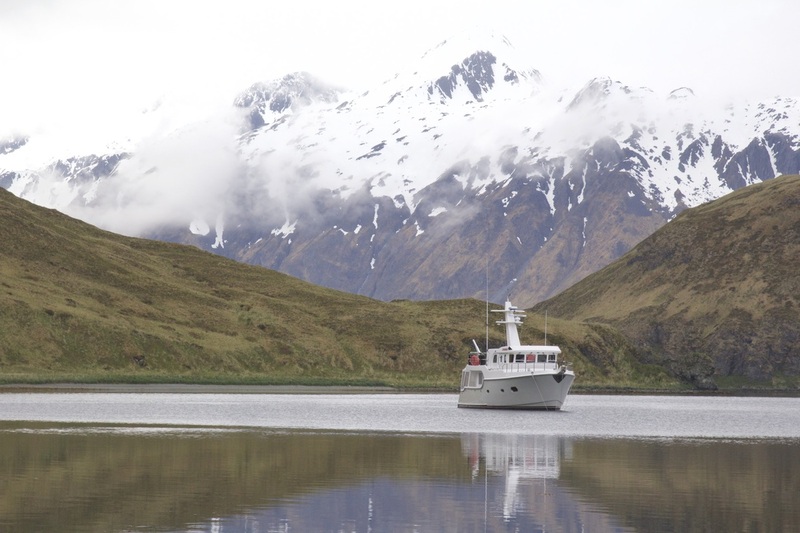 SAMBA in Makushin Bay, Unalaska Island, Eastern Aleutians. 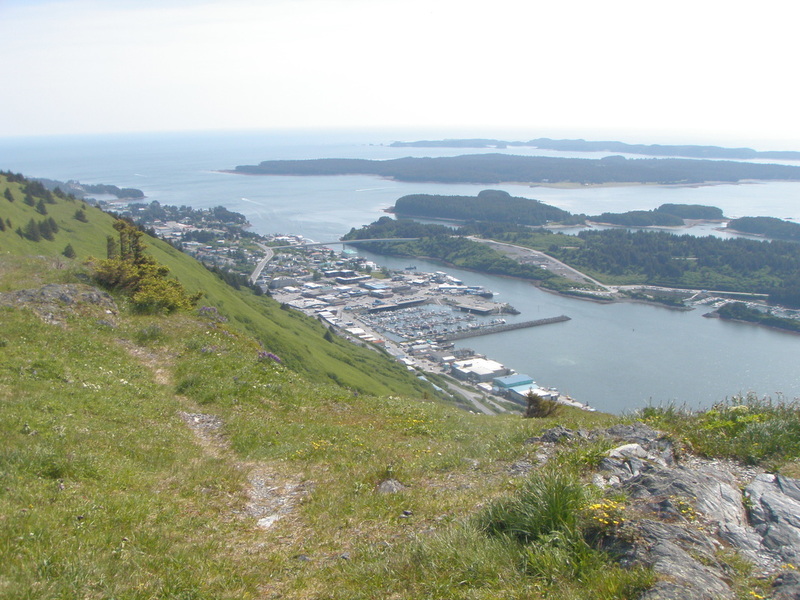 Samba's home port: City of Kodiak, St. Paul's Harbor. The greatest cruising grounds anywhere. The view from Pillar Mountain. Kodiak now has seven wind turbines on top of this peak. Combined with the hydro plant, Kodiak now uses almost 100% renewable energy. Coast Guard Air Station Kodiak is the largest on the Pacific Coast. Enormous responsibilities include patrol, search and rescue for the Gulf of Alaska, the Bering Sea, Bristol Bay and the Pacific Coast of Alaska. Once while we were crossing the Gulf of Alaska this helicopter came down low and circled us. We called on Channel 16 to see what they wanted. " Everything is OK. We just wanted to check out your great looking boat!!!" ​Even the US Coast Guard loves NORDHAVN!! !